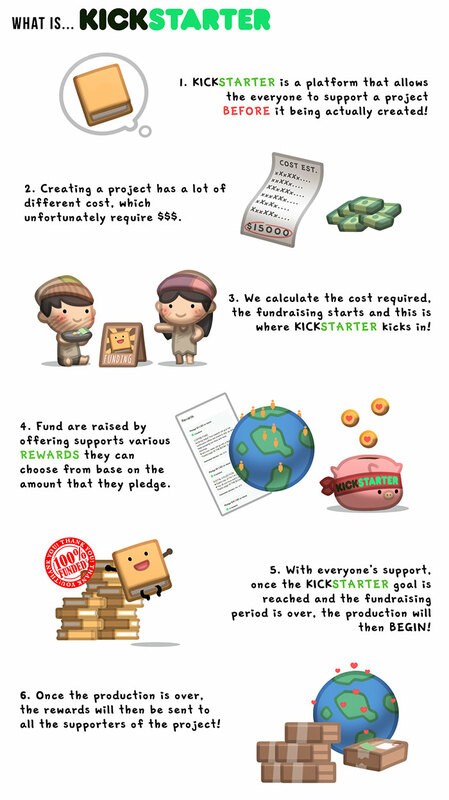 To pledge to a project, first make sure that you’re logged in to your Kickstarter account. Then, just click the green “Back This Project” button on any project page. 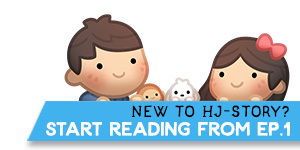 On the next page, you’ll enter your pledge amount and select a reward tier. If you select a reward that involves shipping, it’ll automatically be added to the total. After selecting “Continue to next step,” you’ll confirm your payment details. 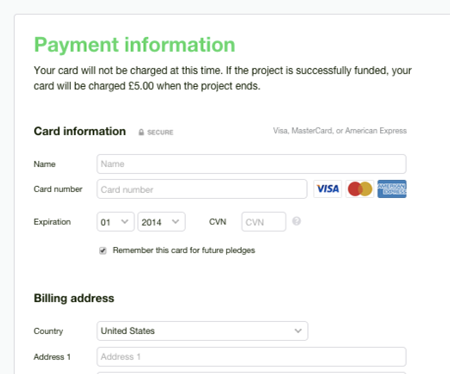 If you’ve backed a project before and saved your card details, you can use them over again. If not, you’ll need to enter your credit card details manually. And “Woo-hoo,” you’re all set! 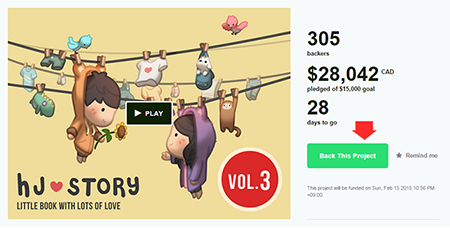 You’ll receive a confirmation email within moments of completing your pledge. *You WILL NOT be charged until the end of the campaign, and only if the fundraising is successful. The reward set is to be shipped after the fundraising period is over. 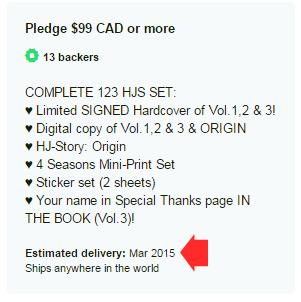 You can see the estimated shipping date at the project page’s reward sets’s Estimated delivery date. 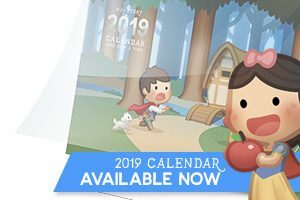 Please Note that sometimes unexpected delay during production can delay the shipping date, please check the project’s latest update for details!